You’re making big changes in your life and you want to avoid financial pitfalls. When you buy a house you enter a long-term financial obligation. Are you braced? You fill out papers and sign legal documents based on them. It’s important that you understand all of your responsibilities so you don’t become a victim, or a participant, in fraud. Every piece of information you submit must be accurate and complete when you apply for a mortgage loan. Anything less is considered loan fraud. Unfortunately, there are some people who may try to convince you to lie about your qualifications so that they can illegally make money at your expense. Appearing to be your friends, they will say that they’re merely trying to help you. They may downplay and deny the importance of complying with the law and suggest there are some things everyone just ignores. Don’t be fooled! 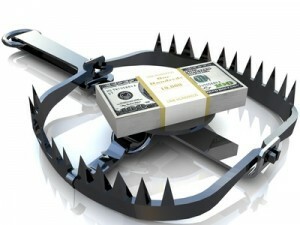 Avoid these financial pitfalls; be smart about this. Read and make sure you understand everything before you sign it. Do not sign any blank documents. Accurately report your income, employment, assets, and all your debts. Avoid buying property or borrowing money for someone else. Remember, you have the right to know the terms of your loan, it’s the law. Being honest can help you avid financial pitfalls as well. Be truthful about your current and past credit problems. Don’t ever provide false supporting documentation. Don’t change your income tax returns for any reason. Tell the whole truth about your money gifts. Never list fake co-borrowers on loan applications. Be honest bout your intention to occupy the house. Don’t get discouraged if your loan application is rejected. Find out what the problem is and what you need to do to get it resolved. You could simply need to compromise and look for a less expensive house, or save up a little more money. Check to see if there are any programs you might be eligible for to help you through your home buying process, aiding you to avoid financial pitfalls. Remember, this isn’t rocket science. Be smart, be honest, and don’t get discouraged and you can avoid financial pitfalls. Let us help you if you have any questions.